We don’t really have a defined manifesto, we just want to support honest, wonky music of any genre that reflects our own lightly perverted tastes. Both of us are a little disillusioned with the current state of music. Style reigns over substance: people who just get their head down and make mind-blowing music don’t get championed by the press as much as pallid hipsters dabbling with occult imagery and low-cut t-shirts. That’s why the zine element of Extreme Ultimate is so important to us: it’s a chance to write about the things that interest us that exist outside of the current trends. Defunct bands, people who innovated but didn’t get their props, and records that we really, really think you need to listen to. I’ve loved this band ever since I first put them on a show in 2010, so they were one of the first bands I knew I wanted to release if I ever started a label. It’s scuzzy and doomy space rock, but unlike any other band out there. Matt Loveridge (Beak>/Team brick) has a whole pantheon of aliases, each with their own mythology. As Gnar Hest he makes vivid, almost classical electronic compositions that have a melodic sensibility, yet sound distinctly alien. We tentatively put this out as a digital-only release last year as we weren’t sure people would want to hear an album of acid techno bangers, but so far everyone has enjoyed Techno Deathmort! Our only punk/metal release so far, this actually came out on World AIDS Day 2013, but we thought it deserved a physical release. We signed this Fenriz-approved band by presenting their manager with a bottle of Aldi gin and a round of Ginsters pasties. Andrew Nixon’s music really does it for me and I’m proud to have him as part of our family. Six tracks of dreamy analogue synthscapes in the vein of Vangelis and Klaus Schulze. Matt Thompson (Zoltan) knows his sci-fi. If you want to know what having a panic attack alone in a space pod is like, this album of vintage synth experimentations is for you. 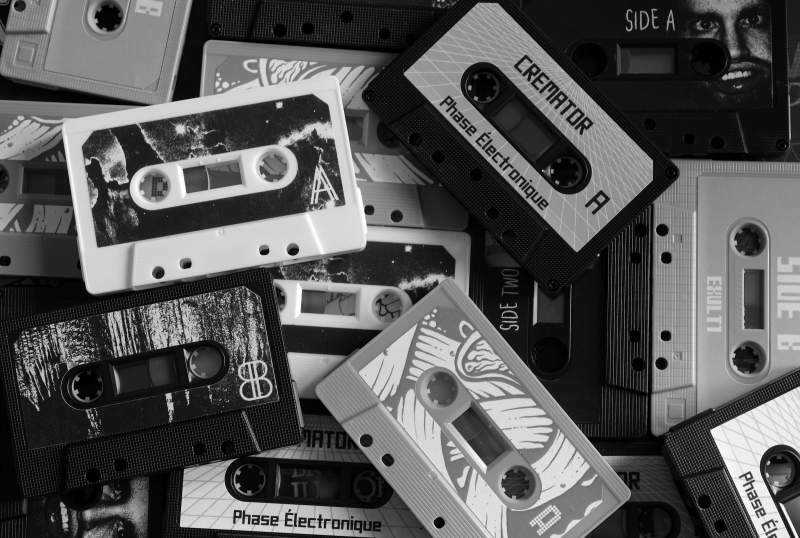 Coming up we have a Necro Deathmort tape, acid folk from Crumbling Ghost, a Bastardhammer split with Violation Wound (face-punching punk featuring Autopsy’s Chris Reifert), wonky prog from The Laze and more from Gnar Hest, Lasers From Atlantis and Deathcount In Silicon Valley. We’re also working on the third edition of the zine, which will have a tape of total filth from Crucifist, Repuked, Crypticus, Bastardhammer, Violation Wound and more. 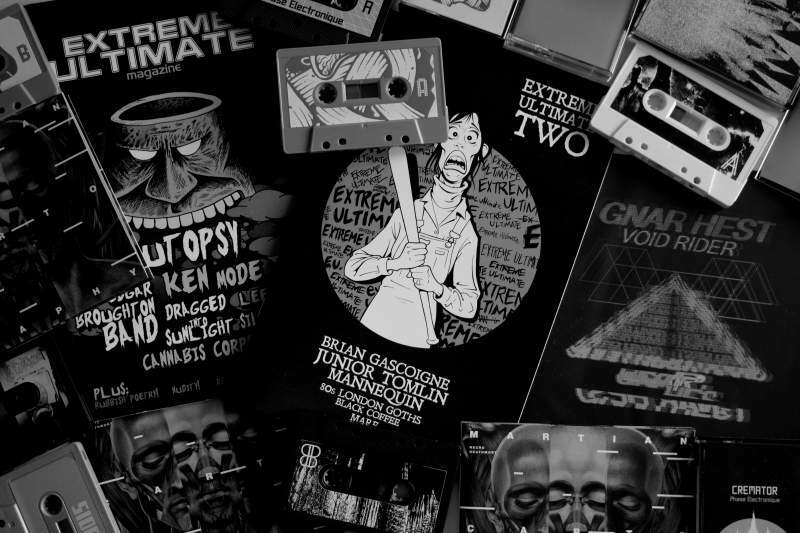 Find out more about Extreme Ultimate’s releases at their Bandcamp page.